Ripley’s Believe It or Not! Baltimore is home to three unique attractions: Ripley’s Believe It or Not! Odditorium, Ripley’s Moving Theater, and the Marvelous Mirror Maze. Visitors are introduced to interactive exhibits and unique displays such as shrunken heads, a 12-foot tall Transformer sculpture made of scrap car parts, the fiji island mermaid, one-of-a-kind artwork, a moving theater where visitors get to ride the movies, and a 2,000 square-foot mind-bending maze. 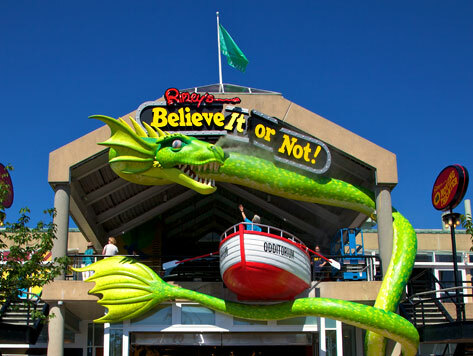 Located off of Baltimore’s Inner Harbor, Ripley’s Believe It or Not! Baltimore is within walking distance to many downtown attractions including Harborplace & the Gallery, Historic Ships in Baltimore, National Aquarium, and Power Plant Live.